In the recent past, intragenic microRNAs (miRNAs) have gained significant attention. Due to the unique linkage to their host gene’s transcription, these miRNAs offer more information than intergenic miRNAs as they associate with some of their hosts’ properties. However, genome wide analysis of intronic miRNA data can be very challenging, especially if it relies on Web-based tools only. 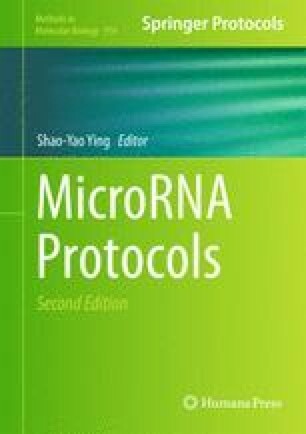 We therefore describe in this chapter how to set a database and how to link the different publicly available information resources on miRNAs and host genes. We also provide an example of a simple, but useful analysis technique. The basic structures and ideas suggested in this chapter can easily be extended to integrating other data and be applied to different analysis techniques.